With an IT staff as small as ours, it is nice that someone is always on top of patches and updates to our firewall. Online Technology Management is always very responsive to any requests and changes we have, usually completing them in a few hours or less. Online Technology Management is not just one of our vendors, they are part of our own team. I sleep well at night knowing our infrastructure is protected and stable. All of the OTM staff are beyond helpful and the amount of trust we have in them is not something you can find easily in this day and age. When emails don’t cut it, you can expect a phone call, which is more than I can say about most companies in the Telecom/Security sector! We have been partnering with Online Technology Management for a while now, and one of the things we appreciate the most is their swift response to our IT needs. I do not remember a time that I or any other of our team members have put a call in and had to wait long for help. We appreciate that quality service. I appreciate Online Technology Management's fast, thorough responses. 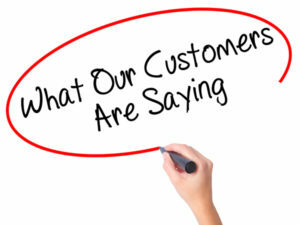 I love that they are always available and make sure issues are resolved completely and to our satisfaction.